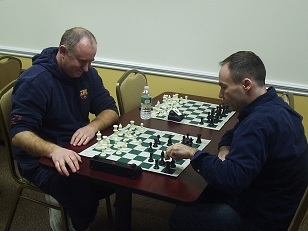 It would prove to be a very interesting night at the Chess Club last Friday! Six experienced and high rated players faced off in a glorious double round robin. The tournament started off with a bang when Arthur Xanthos (who recently returned to the chess scene) took out top seed Ian Harris by scoring 1.5/2. However, Harris was able to shake off this defeat and won all of his remaining games to take home the first prize! The U2100 prize went to Alex Eydelman and the U1800 went to Alexander Reis! Congratulations to all of the winners!